One would think that a country’s soldiers would be afforded the very best equipment that could be provided them. Up until the gulf war, the fighting men of America had the best training in the world, some of the most advanced weaponry, but the worst backpacks. 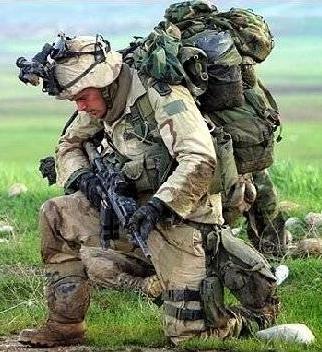 In the field, the warriors packs are their home and everything for their comfort, survival and efficiency must be carried on their backs. Throughout World War 1 and World War 2, the packs carried by the soldiers were nothing more than bags with straps sewn into them. They were made from cotton, they became saturated in the rain and their carrying capacity was limited. The evolution of the army’s backpacks was slow and in the early 1980s, the ALICE pack was developed. Although an improvement over the preceding models, the full packs on long marches became uncomfortable and chafing. Uncomfortable soldiers are inefficient soldiers and being miserable is a good road to failure. After the assault on the United States on September 11, 2001, the army started the Rapid Fielding Initiative to equip our fighting forces with the best state of the art equipment to enhance their mobility, lethality and survivability in the fields of Afghanistan and Iraq. 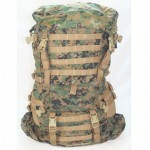 As part of this initiative, the MOLLE pack was developed. M.O.L.L.E. stands for ‘modular lightweight load carrying equipment’. It is constructed of 1000 Denier Cordura, it has an external pack frame, a shoulder strap assembly, waist belt and a quick release. 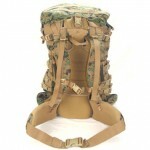 The main rucksack is 3000 cu in. and houses the Gortex sleeping system, night vision goggles, gps, personal items and body armour. There are pouches for grenades, a hydration bladder that eliminates canteens and there is a separate assault pack to carry extra ammunition. 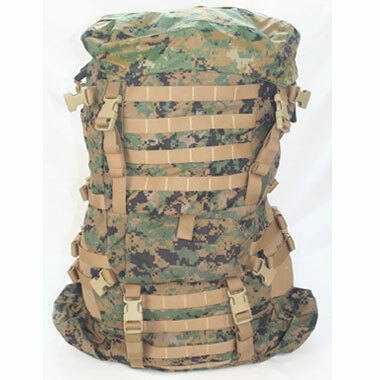 The US soldiers give this pack a five star rating; it is comfortable, efficient and with the addition of separate snap on accessories, the pack can be just the ticket for backpackers, hunters and hikers. In 1965 the Lightweight Individual Clothing & Equipment (LINCLOE) program marked the official start of the U. S. Army’s development of a standard load-carrying equipment system to lighten the carrying load for combat soldiers. 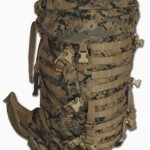 However, earlier work along similar lines can be traced to the development of the Lightweight Rucksack in 1961. 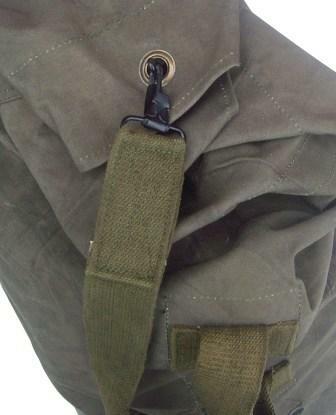 Feedback from infantry soldiers in 1962 led to the development of a modified M-1956 Load-Carrying Equipment (LCE) system using nylon materials in place of cotton canvas duck. From these early modifications of existing gear, LINCLOE set design goals of 3 lbs. for the field pack and 3.3 lbs. for the nylon-equipped M-1956 LCE. In 1967 the nylon M-1967 Modernized Load-Carrying Equipment (MLCE) was adopted although it was intended for use only in tropical environments. The LINCLOE program did not end with the adoption of the M-1967 MLCE. In 1969 LINCLOE developed another LCE system, the LINCLOE LCE. Initial testing of the LINCLOE LCE revealed failures primarily with the closure devices. Throughout 1970-72, the LINCLOE program continued to test configurations based on both the LINCLOE LCE and the M-1967 MLCE. However, due to numerous problems with the various sets of equipment supplied by Natick Laboratories, the U. S. Army suspended testing in March 1972. Natick Laboratories made the requested modifications and testing was completed by August 1972. In late 1972, Natick Laboratories and the U. S. Army agreed on a system that would later be adopted as U. S. Army standard in January 1973 – the M-1972 Lightweight Load-Carrying Equipment (LLCE). 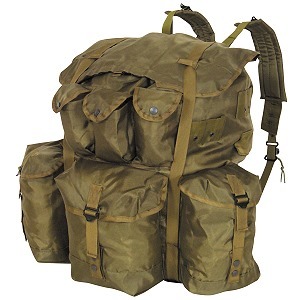 Contracts for the M-1972 LLCE components were issued in 1974 and soon thereafter the system was renamed All-Purpose Lightweight Individual Carrying Equipment (ALICE). The ALICE military backpack was the final result of the LINCLOE program and officially entered service in 1974. The ALICE system uses the concepts of fighting and existence loads, the primary idea being that an infantryman should not carry any items deemed unnecessary to the immediate mission. 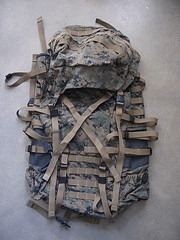 Thus the items of the fighting load are normally carried on the belt and suspenders where they are easily accessible; the existence load is intended to be carried in the field pack. The ALICE pack has been phased out of service for all active units in the U. S. Army. It was succeeded by the MOLLE system. It is not exactly sure where the term ‘Duffle Bag’ came from or when it actually came about to the Army. Some history dates back during World War I 1917, E.E. Cummings was in the military as an ambulance driver. And while he was serving his time he would write letters talking about his experiences in combat. He mentioned his duffel bag a lot. The Army duffel Bag in World War I was called “The Doughboy Duffel Bag”, This bag was about 10 inches longs, made out of tan cloth from Duffle, brass rings, and rope. The bag was made like a knapsack, and not very well put together for traveling in combat. After World War II the duffle bags in World War II were made with the same cloth but it was made 8 inches longer than the older duffle bag used in World War I. In World War II the bags were called “Barrack Bags” They were still made to look like knapsacks, and they were still not very sturdy while traveling in combat. In the years to come the bags would be made better. In 1943 the Army made a lot of changes to the Duffle Bag. 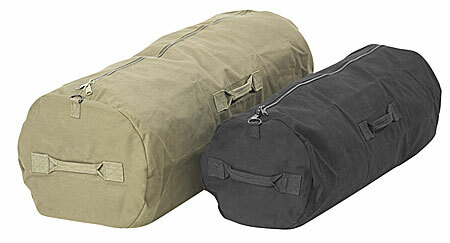 The duffle bag was made with olive drab no.3 canvas. This canvas was woven into a backpack that came with two web straps, which was made to carry heavy loads easier. It is a 37 inch wide bag, and is 12 inches long. The bag comes with all kinds of attachment rings so soldiers can carry more. 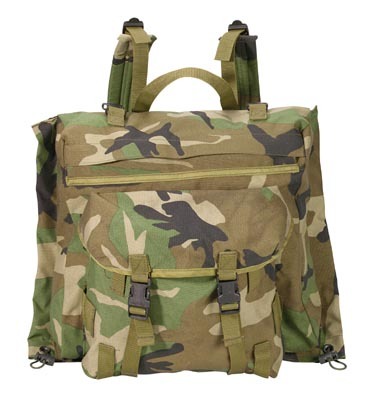 The new duffle bag traveled well in combat, and the concept is used in the present day Army with more things added that made the duffle bag even better. 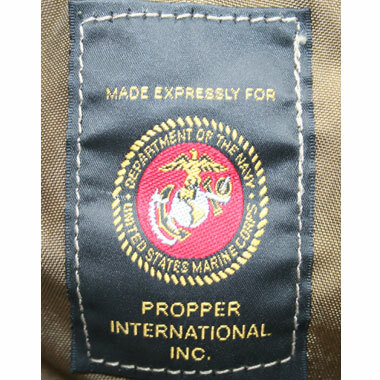 To make identification easier, Army duffle bags get stenciled with the name and serial number of the soldier that is carrying the bag. In the 1990’s the United States Army made the decision to introduce the Individual Integrated Fighting System (IIFS) to its soldiers. 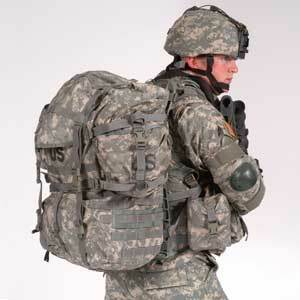 The IIFS was meant to replace the old All-Purpose Lightweight Individual Carrying Equipment (ALICE) that soldiers had been using for many years to carry their tactical and personal gear. 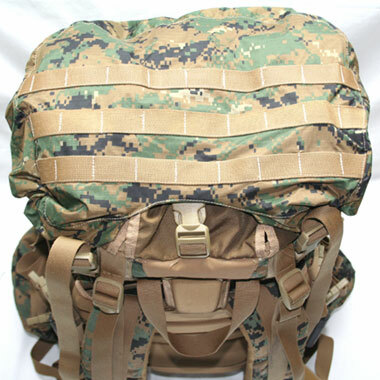 Part of the new IIFS was the Combat Field Pack M-1990 (CFP-90). The purpose of the CFP 90 is to enhance the safety and comfort of the soldiers, in two main ways. First, by more evenly distributing the weight of their load; second, through the many ergonomic and comfort features found in the pack. Some of the features offered by the CFP-90 include: lower padding on the back, lumbar support, shoulder padding, and an adjustable suspension system. It also features compression straps that enable a soldier to tightly strap down heavy loads to ensure minimal load-shifting. It also offers a hip belt to ease the strain of heavier loads. 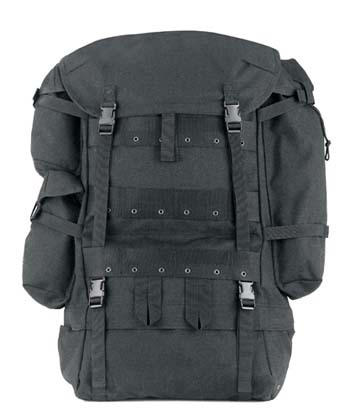 T he CFP-90 field backpack (there is also a smaller CFP-90 patrol pack, which can be attached to the larger field pack) features two compartments. The first is the lower sleeping bag compartment; the second is the main compartment. The main compartment has a false bottom, allowing the pack to be completely opened if there is no sleeping bag being carried. Between the 2 compartments there is a total of 1200 cubic inches of space for equipment. There are two removable internal metal supports that run lengthwise on side each of the pack. These provide extra support, but can be removed if not required. Compression straps are located on the interior and exterior of the CFP 90 to secure down any equipment for minimal shifting during movement. On the outside of the pack are 3 external pockets. On side has one long cylindrical pocket, the other has two smaller pockets to organize smaller gear. 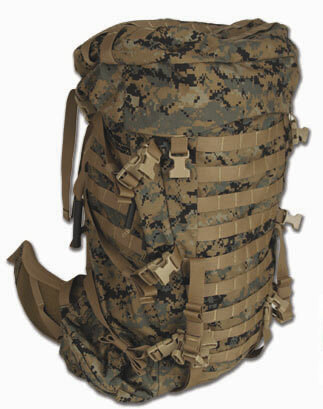 The combat field pack was one of the first backpacks to adopt the Pouch Attachment Ladder System (PALS). PALS is a system of nylon loops that covered the outside of the pack. 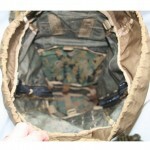 The PALS system allowed different pouches and equipment to be attached to this webbing framework. It allows the wearer to customize the equipment and placement of that equipment for their personal style and preference. These pouches can also be customized for specific mission needs or areas of responsibility. 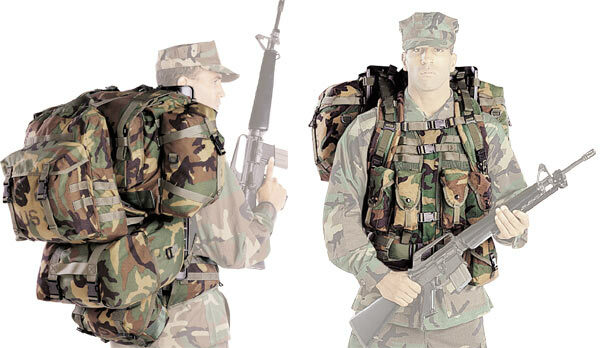 The PALS system is now common on all current issue military backpacks as well as tactical vests and equipment. 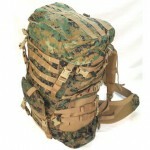 The pack is made of eight ounce sturdy back-coated nylon that is not only durable, but also water resistant. The CFP 90 weighs eight pounds when empty. That includes: straps, belt, frame, and nylon. It can carry up to seventy pounds of equipment. 1200 cubic inches of internal cargo space. The CFP-90 is an effective load bearing unit that is made with the soldiers comfort and safety in mind. Since it allows the user to carry heavy loads with relative ease, it is even used by civilians for activities like hiking and camping.